The device features a 5.5inch HD IPS LCD display with a resolution of 1280 x 720 pixels and runs on Amigo UI 3.2 which is based on Android version 6.0 Marshmallow. 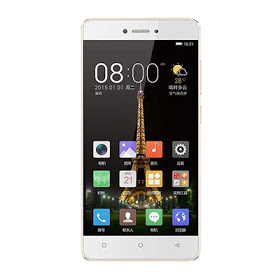 It is powered by MediaTek MT6595 octa-core processor clocked at 2.2GHz with a 3gb RAM. It has an internal storage capacity of 32gb which can be extended with up to 128gb sdcard.